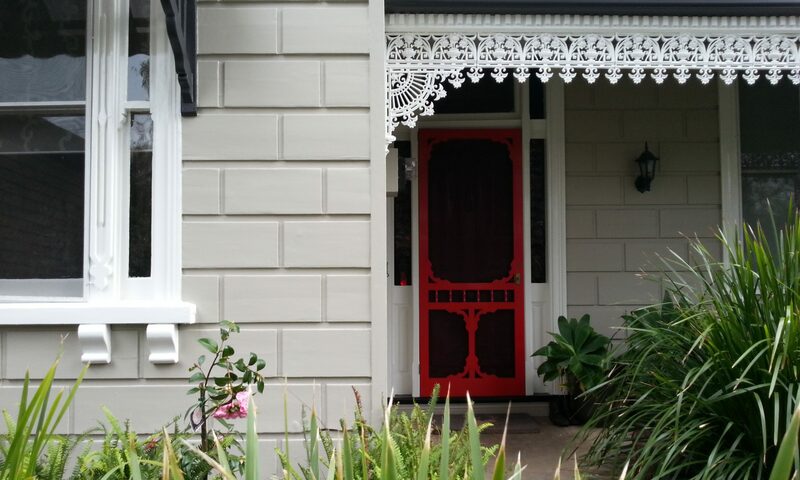 We are the interior house painters Kew, but we can do so much more than painting walls and ceilings. 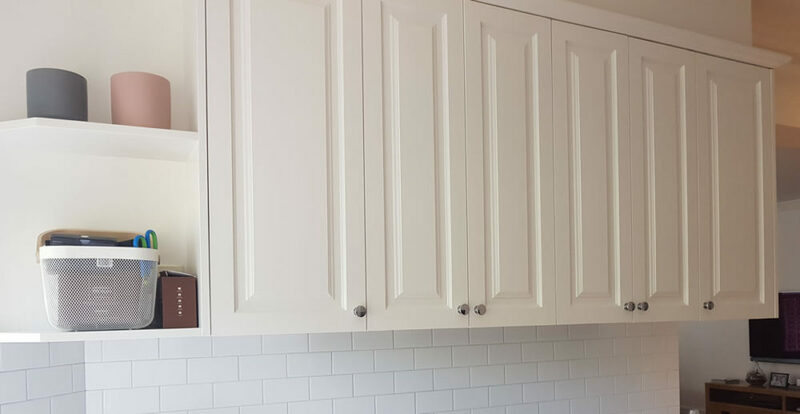 Often we get asked to paint kitchen and bathrooms, and we mean paint tiles and paint cabinet doors, not just the walls and ceilings. Why? Well There is a good reason. Updating a ‘dated’ colour scheme. The one in the images was a ‘bright orange’ wood, with a brown speckled bench top, which was great 20 years ago, as they knew no better then! And Now as a result, the new colour scheme will last another 20 years. It’s the same with bathrooms. Because if there isn’t anything fundamentally wrong with the bathroom apart from the colour scheme, we can simply paint it. And due to the fact that your not getting an entire new bathroom or kitchen, it’s dramatically cheaper. 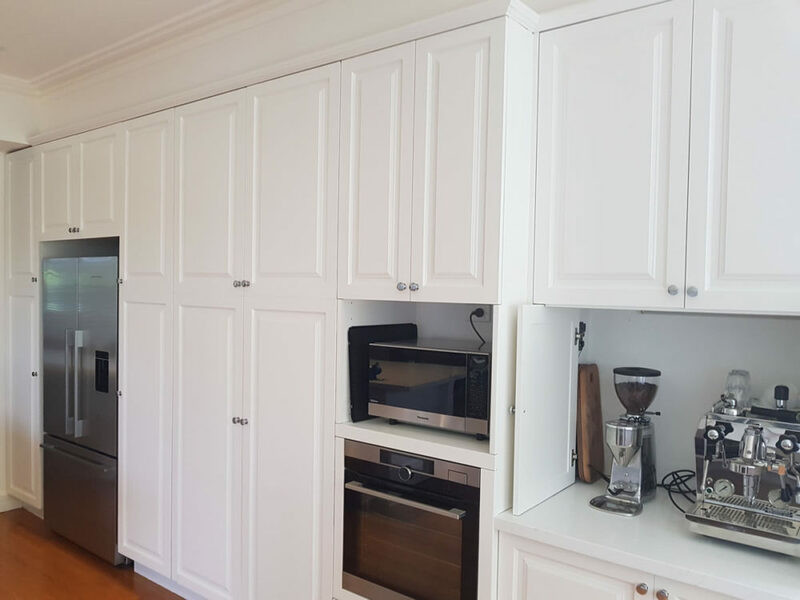 Whilst most kitchen will cost tens of thousands to build, repainting kitchen cabinets is considerable cheaper. It’s less intrusive, because we spend less time, we don’t have to rebuild the whole kitchen. We’re the interior house painters Kew that will make your kitchen or bathroom look great, and save you enough for a great holiday.